A fun set of wheels for the upwardly mobile baby. She'll delight in the interactive activity tray featuring English and Spanish. 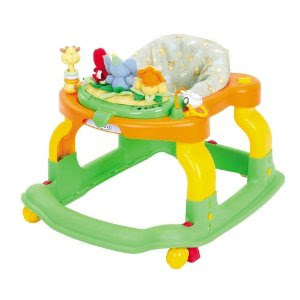 Remove the activity tray and take it on the go, or place it on the floor for tummy time. With friction strips that activate on contact with an edge or uneven ground to significantly impede further motion and stationary "kick-stands" for snack or play time. 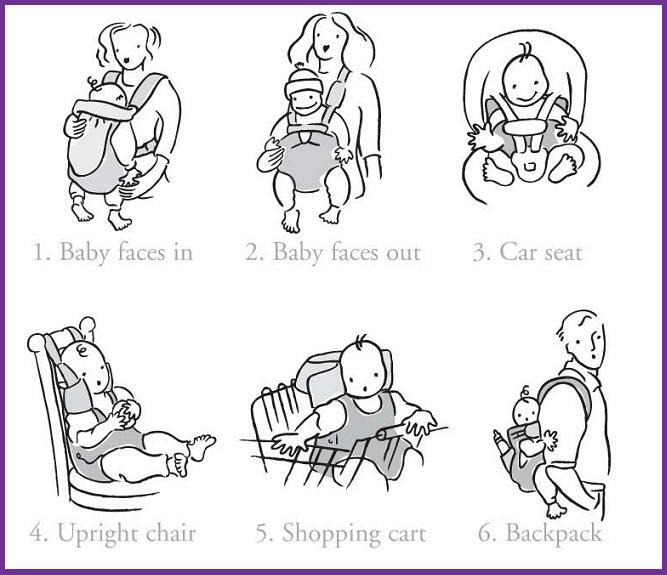 Three height positions grow with your baby, and seat is machine washable. 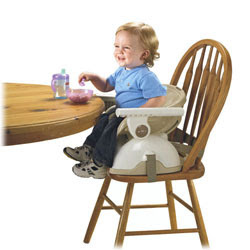 Child must be able to sit upright unassisted and unable to walk. Dimensions: 30.7"L x 25"W x 24.8"H Weight: 13 lbs. My Brest Friend adjusts securely to your body and stays where you want it. 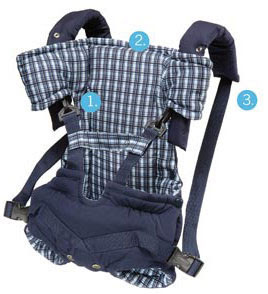 It's designed to support your back, neck, shoulders. You can feel relaxed and comfortable holding and feeding your baby. Your baby will feel the difference. Ideal for twins, too. Toys that grow with your child from infancy to toddlerhood are well worth their cost. 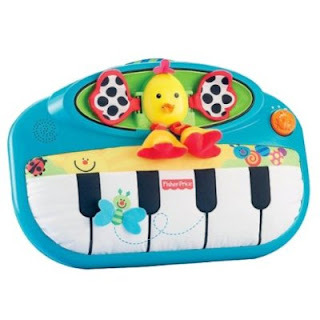 The Classical Chorus Gym is one such toy, allowing your child to explore music at every stage of his development. 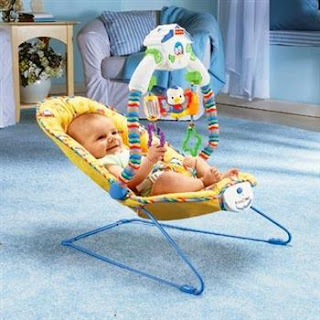 As an infant, your child can lay on his back and bat at the hanging toys while the keyboard plays 10 different classical or nursery melodies, some with a children’s chorus. 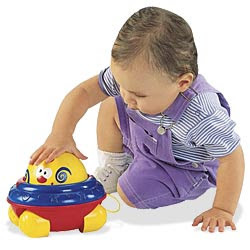 You can set the music to play continuously for up to 10 minutes, or only when your child successfully hits a toy, teaching him cause and effect. When your child learns to sit, the keyboard adjusts with him to the proper height, and then adjusts one more times to accommodate a standing or walking child. At these stages, you can set the music to play part of a song when your child presses a key or let your child experiment with scales and individual notes. 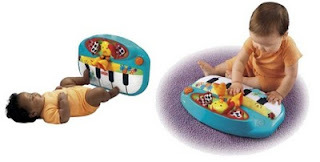 The keyboard’s "singing" stars light up as music plays to further delight budding musicians. The Classical Chorus Gym requires three "C" batteries (not included) for operation. Make bath time more comfortable for you and baby with the Aquarium Bath Tub that grows with baby from newborn to toddler! 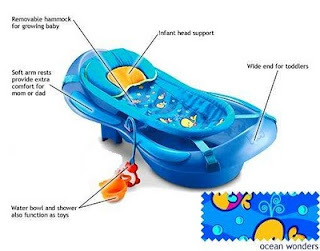 The unique Aquarium Bath Tub hammock supports and cradles your newborn comfortably and safely. As baby grows, the hammock can be adjusted to hang from the narrow end of the tub to provide reclining support. When your toddler needs more room, he can sit at the wider end of the Aquarium Tub. 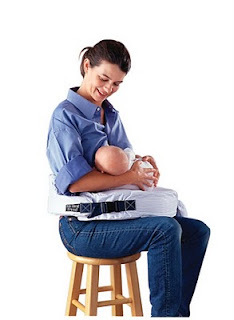 Soft arm rests provide extra comfort for mom or dad. 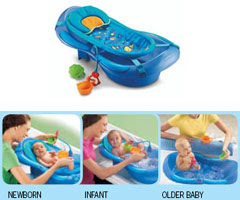 Aquarium Bath Tub comes complete with lots of bathtime accessories and an infant head support included. 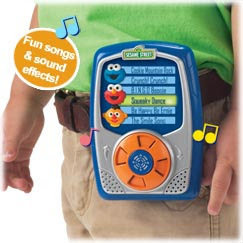 Now children can play with a portable music player like their parents MP3 players. 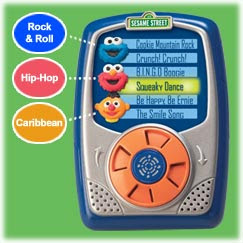 It plays 6 songs in three fun styles, rock & roll, hip-hop and Caribbean. A child can scroll through the song list using the easy-to-turn click wheel and select their favorite tune. The song selections light up, and sound effects can be played over songs! Includes clip-on feature for take-along fun. Requires 3AA batteries (not included). The Peek-a-Blocks Shape Sorter brings introduces shaped blocks to the Peek-a-Blocks. Baby is rewarded with fun sound affects and music when they sort any of the 4 shapes, or if they just drop the shapes through the generous open top of the cube. The 4 shapes include a star with a star shaped pinwheel that spins inside, a circle with a round sun that spins, a square with small blocks that rattle & shake inside and a triangle with a triangular shaped piece of cheese with a little mouse pop out surprise as baby shakes the block. 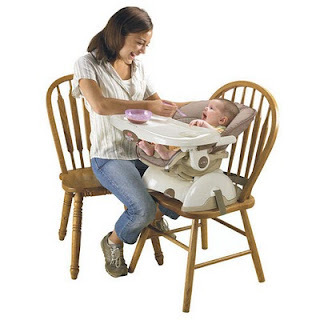 There's also a handle so baby can take it on the road. 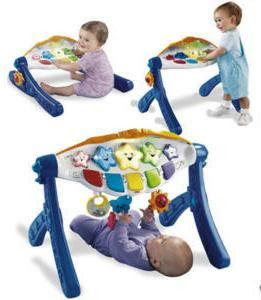 The Peek-a-Boo Piano offers so many ways to play! Attach it to your baby’s crib, where the high contrast of black-and-white keys and bold graphic patterns are easy for newborns to focus on. Gently flapping wings, softly paced lights, and up to 10 minutes of continuous music offer the right stimulation. 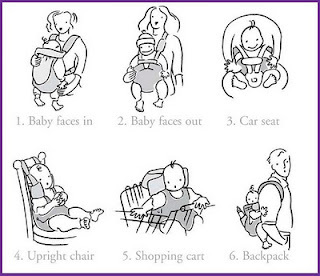 Then as baby learns to kick, he’ll be rewarded with peek-a-boo play, music and lights. 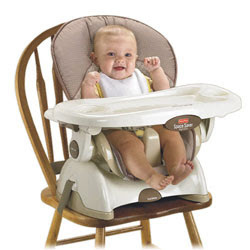 Baby can rattle the birdie’s dangling feet while discovering the magic of cause and effect! When your baby can sit independently, place the piano on the floor for exciting concerts. Pressing individual piano keys creates music. Soother requires 4 "C" (LR14) alkaline batteries (included). This pop-up preschool toy has lots of pop 'n go action to keep your little one entertained. Press any one of the 4 pop-up buttons for a pop-up surprise, push, slidem switch and twist actions. Each button has a different shape and color for tactile exploration. All items and animals store neatly in kit for house calls. Watching a preschooler's imagination blossom is magical! This line of toys offers toys with unlimited possibilities that allow a child's imagination to soar - from the world as it is to the world as it could be. Dimensions: 12-1/4" x 4-1/4" x 9-3/4"
fun packed into 1 delightful drum! 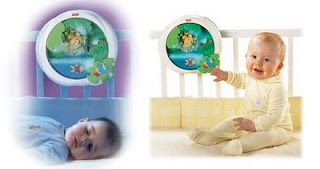 Choose 3 different settings & baby can build songs with every tap, hear different instruments, or hear drumbeats play. Baby can even shake it as a tambourine! The cheerful star lights up & "sings"
Plays 3 classical tunes & 2 traditional favorites, with twinkling lights that accompany each selection! Requires 3 "LR44" batteries (not included). This delightful, pull-along friend is there to help your child every step of the way. Dancing lights, lively music and fun motion encourage your baby to practice walking while improving balance and coordination. Remove the big, soft ball in the middle for additional play possibilities.